Sportingbet Asian Handicap betting serves as a sort of redemption for players. Like in all other bookmakers, this type of betting eliminates the outcome of a draw in football, hence leaving players with the options of betting on a win or a loss. This almost doubles the odds on its own, and adding this to the amazing representation of football available at Sportingbet bookmaker, punters are sure to be in good hands if they decide to engage in Sportingbet Asian Handicap betting. What is the selection of Asian Handicap bets at Sportingbet? These are just some of the Asian Handicap selections available at the bookmaker. Before proceeding to place their wagers, players should be aware that Sportingbet pays attention to the score line so that is a player wagered on the match outcome after 60 minutes, then that is exactly when they will get their bet settled. What are the Asian Handicap betting odds at Sportingbet? The odds used in Asian Handicap Betting are fine across most, if not all, bookmakers and sporting markets. At Sportingbet, the odds differ across handicap lines. They are also dependent on the sporting market changes. Punters should keep in mind that the odds are different for each team in any given game being played. Comparing the odds helps the player gain better chances of winning. Say there is a game between Chelsea and Manchester United. Say the odds for Manchester United on AH -0.75 are 1.80. In the very same game, the odds for Chelsea on AH +0.75 may be 2.75. One cannot instantly make millions from Asian Handicap Betting at Sportingbet, but players need to be aware which lines will offer a bigger payout and which ones will not. Does Sportingbet provide Asian Handicap bets at Live Betting? For the players that fancy live betting, then this is just the place for you. Sportingbet provides Asian Handicap Bets at live betting. Punters can still choose from the same variety of betting lines that are available at the bookmaker. Are there any special rules for betting with Asian Handicap at Sportingbet? Bets cannot be recanted or changed once they have been placed. 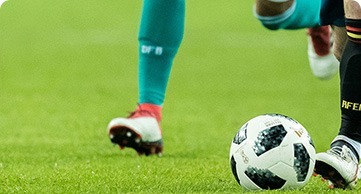 When a player places their handicap bet in a game and a penalty shootout happens to take place in that game, then whatever points the respective tea scores on this penalty will also be used to determine the final score of the team, and hence count towards the loss or the win of the player. In case a player takes part in another handicap line, specifically the Asian Over/Under, then they should be aware that the penalties after the first 10 are not counted as relevant to the final score of the team. The bets placed by players also become void if the game does not get to a point of penalty shootout. Any player that does not abide by these rules when using the Sportingbet Asian Handicap Betting risks suspension from the bookmaker, sometimes their accounts may be completely deactivated. Since Asian Handicap betting works to eliminate the amount of outcomes on which a player can bet on, this type of betting is quickly gaining popularity. Given that Sportingbet is one of the few bookmakers out there that provide great football promotions, it would make sense that Asian Handicap betting is gaining root at the establishment. Just like in all other bookmakers, the Asian Handicap Betting service at Sportingbet can either work for or against you as the gambler. In most ways, this service is a gift seeing as the option of a draw is eliminated. When a punter has to bet on a win, a loss or a draw, they have only about 33.3% chances of making an actual win. When the option of a draw is eliminated, then the punter’s chances of winning are bumped up to a good 50%. The rules of this type of betting at Sportingbet are the same are the rules across most of the other bookmakers. The instructions for Asian Handicap Betting at Sportingbet require a player to place their bets using the funds they have in their Sportingbet accounts. This should be done before the game starts, otherwise, they will not be able to place their bets. To determine whether a player has lost or won, the number of points scores by the different teams. Or different players (depending on which party a player wagers on) are counted.